While Scottish communities that made and used baskets were interdependent and interwoven, nevertheless, there are clear regional variations which reflect differing needs, patterns of work and material resources. 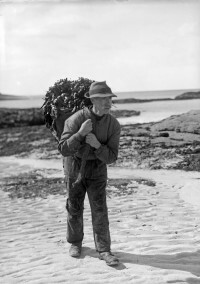 An example can be seen in the creel, where the western creel has an open, unwoven band around its girth, similar to Irish creels, while the eastern creel is fully woven from top to bottom. Sculls, low, round, frame baskets, also vary, and can be made from spale (split willow or other wood), or woven willow and hazel, or cane, varying from region to region. 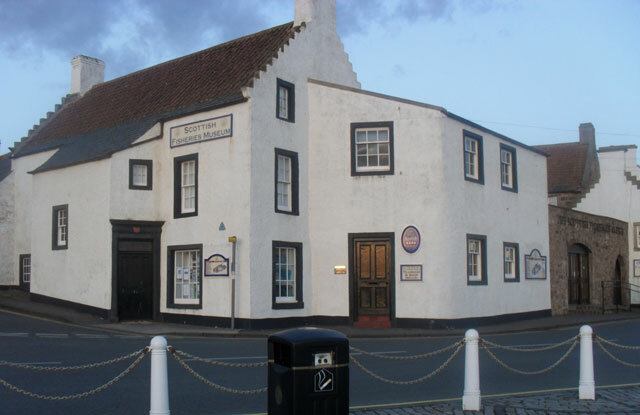 There is also much less material evidence of basketry in museum collections and photo-archives from western Scotland and the Highlands than of eastern basketry, with particularly rich material being available for the east coast fishing industry between Edinburgh and Arbroath. The variations in conservation may be due to factors such as the impact of the Highland clearances and migration. But, Isobel Grant suggests there may also be more subtle, longstanding influences, linked to the greater fertility of the eastern soil, and the differing influence of Norse invaders east to west. The introduction of herring drifters from Aberdeen also concentrated the herring fishing in the east coast ports, although Stornoway and Mallaig were important centres. Thus, agriculture and fishing was both more restricted in the west, and there was less money to conserve local heritage. The east of Scotland extends from the Borders and Edinburgh as far north as Caithness..